New commission and project development in Bern, Switzerland. In Bern, Sława Harasymowicz will be exploring the cross-disciplinary practices of Swiss writer Rober Walser. 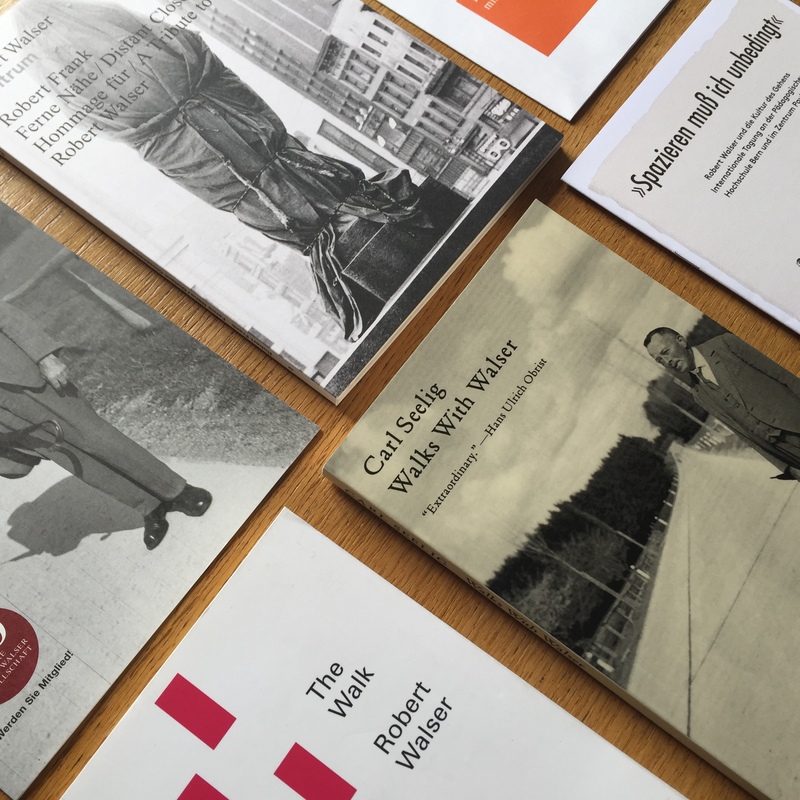 Using Walser’s texts and biographical details as points of departure the project will explore the impact on the psyche of disappearance, body and trauma. It will also look at character-led visual narratives that re-consider connections between words and images to question the position of the ‘character’ him/herself. The questions the artist will ask include how to articulate identity (and doubt about it) through images and words and how to challenge common ideas about trauma as well as mental health per se. An important part of Sława's research will be to look at the practice of walking as a time-centred meditative activity, as a sequence centring the subject in the now, and the tendency to self-erase / camouflage; all these were present in Walser’s literary practice. The initial research will conclude with a multi-media exhibition taking place at the Reflector Gallery in Bern, using sound, video, spatial installations and written texts; these will be fused to convey the traces of thought, ideas and practice which disappearance can leave in its wake. The theme of how these traces (opaque and emotionally engaging) de facto accompany the absence of a person (Rober Walser) will be riven throughout the various experimental performative and static installations. The project is developed in partnership with Reflector Gallery and Rober Walser Zentrum, both in Bern Switzerland.